Should You Buy Followers and Likes on Social Media? Back in April, Instagram reported that it now has more than 700 million monthly active users, and that it's growing faster than ever. But many of the surrounding comments on the back of this noted that many of the profiles on Instagram are bots, artificially inflating people's follower and Like counts for a fee, in order to boost their reputation and - in the case of 'influencers' - earn them money. It's that easy to boost your Instagram following, and a new report in The New York Times has also shed more light on the scourge of bots, in amongst the reports of fake news and fake followers that are reportedly being used to influence the political cycle. According to that report, bot activity has increased on Instagram since the introduction of their feed algorithm, with people looking to boost or maintain their presence by giving themselves more Likes - thus ensuring their content is more likely to be seen. And here's the thing - for some people, buying Likes and followers actually makes some sense. A little while back a friend of mine asked me how she could grow her Instagram following, and whether she should consider just buying followers to get a jump-start. I told her definitely not, that there's no point buying fakes who won't engage, who won't interact, and who are actually easy to spot. But her use case was slightly more unique than normal - this friend is an aspiring model, and she said that many agencies won't even give her a look-in unless she has 15k followers on Instagram. On balance, and looking at the circumstances involved, buying bots actually could make sense. I'd still advise against it, you're taking a big risk in buying bots - there's no point having 15,000 followers if your profile is just going to get banned. But in order to even begin with some agencies, she needed a starting point, and organic growth would take time. 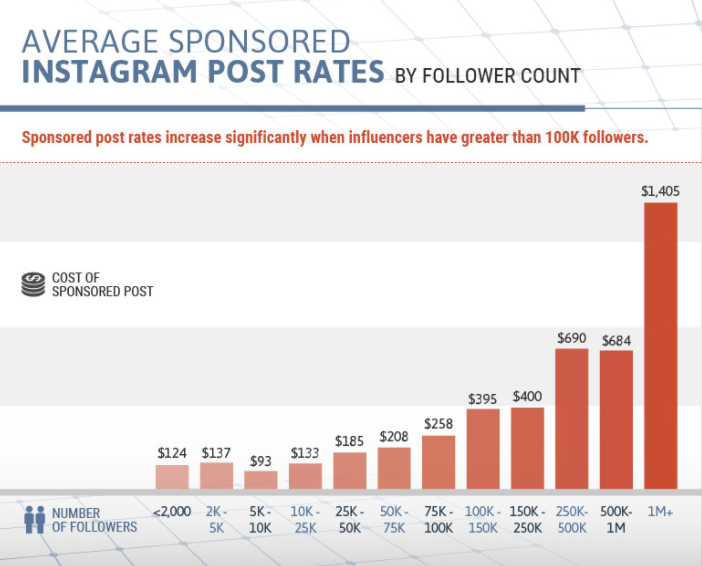 Of course, this is more a case of misunderstanding from the agency, or industry as it where (she noted this is a common requirement these days), but still, in this instance, with those qualifiers, buying followers might actually make sense. It's not a good thing, it's wrong for these people to mistake following for influence, and to be ignorant of how social platforms can be gamed for this purpose. But really, it actually reflects the industry at large - no matter how you look at it, follower counts actually do matter. For example, if you go to a Facebook Page and it has 132 Likes, you're going to judge it, especially if a competing Page has 5,000 Likes. And while it's entirely possible to do some investigative work and establish whether a Page may have purchased their following, most regular people either won't know how, and/or won't bother either way. 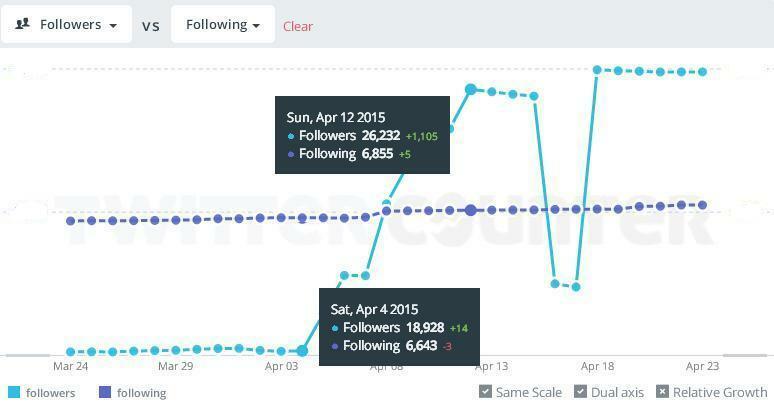 So a follower count - even a fake one - is influential. The same with Twitter - go to Twitter right now and you'll be able to find a heap of 'influencers' with 100k followers or more, but who generate close to zero engagement with their tweets. They probably also follow 99k people - so yes, they have a lot of followers, making them seem influential, but most are just following back to boost their own numbers. This is where influence metrics like Klout come in, but they too can be gamed. The only true way to measure influence is to conduct your own research into their engagement rates and interactions - but again, as noted, most people won't. If you see someone with a million followers, you pay attention when they contact you - brands pay attention when they tweet. And yes, they do earn money purely because of their follower counts - as shown in this chart based on influence.co's research. Whether we like it or not, the system incentivizes follower growth - real or not - and there's a clear case for buying followers. The risk is that you could get caught out and banned, but that's not something that seems to happen very often. More likely, you could see a big follower drop if, say, Instagram conducts another purge like the one that saw Justin Bieber and others lose millions of followers overnight back in 2014. But then again, you could just buy more. The fake social media industry has grown massively in recent years - and as demonstrated by the above vending machine, they're not even working in the shadows. Fake profile makers and "click farms", many of which are based in third world countries like Indonesia and Bangladesh, generate hundreds of millions of dollars per year - and with examples like the modeling agency above, it's hard to see it losing momentum anytime soon. And as noted, even though we are growing more wary of social numbers, they still have an impact, it's still important to grow your follower count. Countering this, every social platform has their own method for weeding out fakes, efforts that have gained momentum since the controversies of the 2016 US Presidential election. Twitter, for example, removed their default 'egg' avatar and has developed new, AI-driven techniques to detect suspect behaviors, while Instagram recently cut off access to a range of third party growth sites like Instagress, PeerBoost, InstaPlus, Mass Planner and Fan Harvest. Still, for every advance they make, the fake industry adjusts and changes tack, making them increasingly difficult to eliminate. The wider issue with this is that it de-values social media overall - people who might be skeptical of the benefits and impact of social have those doubts confirmed every time there's a new report of fake account levels (as a note, Facebook has previously estimated that up to 11% of accounts on their network are fake, while Twitter has said that around 8.5% of theirs are false). That hurts the industry overall, which is why the platforms are going to effort to remove them - but fake or artificial Likes are almost impossible to snuff out, which presents a challenge for those working to maximize the benefits. So does that mean you should buy fakes? Absolutely not, and all reputable social media practitioners will tell you the same. A key way that fakes actually hurt more than help is in analytics. Yes, social is great for getting the word out and reaching an audience, but the another key strength of the medium is the capacity it provides to listen in and learn about your audience - what they like, when they're active, what they're looking for from your business. When you check your analytics on any social platform, you can access insights or varying capacity on this front - but if all your followers are fake, that data is useless. This means you're missing a major opportunity in social, and underlines why buying fakes won't help you in the longer term. But starting out, maybe you need that kick - maybe you could buy a few thousand likes then remove them later. Aside from the risk of being banned by the platform altogether, it's actually not easy to remove fake likes once they've been added. Essentially, if you do decide to buy followers, that profile is forever tainted. You won't be able to re-do it later, and you'll run the risk of being found out - removing them is just that manually intensive and time consuming. And it is easy to get found out - recently, accusations were circulating that Donald Trump's Twitter following had jumped by 5 million in three days, suggesting that he had purchased followers. This was largely based on data from an app called TwitterAudit, which uses a fairly basic algorithm to detect fakes. It's worth noting that while simple apps like this can help, you have to dig a little deeper to get the real story - as has since been pointed out by various media outlets. For example, a check of Twitter Counter is another way to confirm or dismiss your suspicions - in the case of Donald Trump, for example, his Twitter growth chart looks like this. All looks pretty stable, there are no sudden spikes or shifts. Whereas this person (an example I took back in 2015) has some fairly questionable spikes. Looking at the actual history, as opposed to a speculative 'fake follower' count, is a much better indicator - and it's fairly easy to do. As such, I suspect that the platforms themselves might also be able to use such spikes as a means to detect and penalize fakers. Not everyone who sees spikes and shifts like this is faking it, of course, but I'd be willing to bet a lot of them are. Don't be surprised if such measures are already in development, and may be accelerated as the platforms looks to provide more assurance to advertisers. Ultimately, buying fake profiles is not a sustainable practice - it might get you an immediate, quick result, but the long-term damage, and potential risk, is not worth it. As social becomes a bigger part of the modern business landscape, more and more measures will be put in place to detect and eliminate fakes - it's inevitable that we're going to see more crackdowns on this behavior. That could see your business caught out. While it may seem harmless or helpful, it's really not. We're moving beyond the age where people can fake their way through social media marketing, where knowing a little bit more is good enough to position you as an 'expert'. The next generation has been raised on social, they know all the tricks - they won't be fooled by false 'gurus' and enthusiasts masquerading as professionals. Buying fakes will come into this equation - as social matures, so too does our understanding of the systems and process, and how they can be gamed. Buying fakes might help now, but it'll hurt in future. The risk remains very clearly greater than the reward.